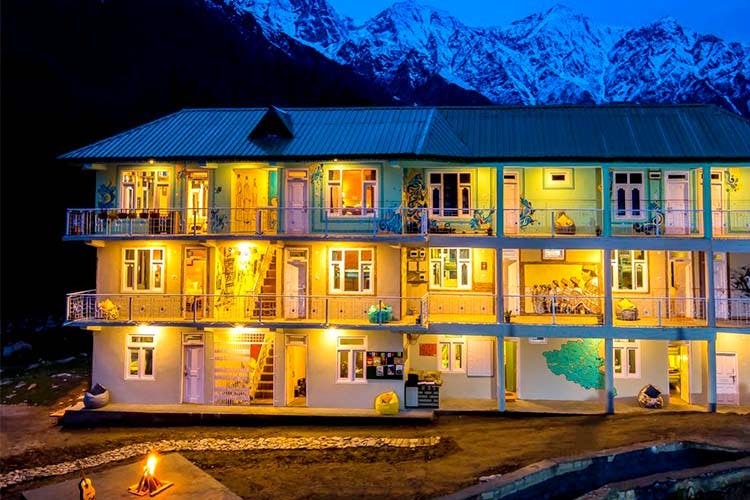 Zostel recently opened another one of its properties and this time, it’s a hostel in Chitkul, the last village on the Indo-Tibet border. Zostel Chitkul’s got the best view of the mighty Himalayas, the river Baspa in its backyard and cosy dorms for the best mountain vacay. If you’re someone who’s always up for an adventure and loves the mountains enough to make the trek all the way to the Indo-Tibet border, Zostel Chitkul is the place for you. It lies at the last point in India that one can travel to without a permit; On a land of clear-blue skies, snow-capped mountains and well, a land of fewer people (bye-bye Manali crowds). Network connectivity will be an issue here but isn’t a digital detox a great way to unwind? Plus, Zostel will offer all the comforts you’d require to enjoy a comfy hill holiday. For the broke travellers, they’ve got four-bed female dorms starting at INR 549 and four-bed mixed dorms starting at INR 499. They also have Deluxe Private Rooms for two starting at INR 1,500. As for the amenities, there’s a common hangout area with lots of bean bags, board games and books, so you can chill and share stories with fellow travellers. On a good weather day, when the sun is out, be sure to lounge on their lovely terrace surrounded by the valley as far as the eyes can see. There’s an open cafe too with an endless supply of toast, eggs, pasta, pahadi Maggi, coffee and more. Some other facilities available at Zostel Chitkul include laundry services, a 24x7 reception, hot water, locker and parking facility and also bike rentals for when you want to wander into the woods. The only bummer is that you’d have to pay extra for breakfast but honestly, look at the place! It's worth everything. Check out there website here and follow them on Facebook. Also, here's how you can reach Chitkul. Price: Starting at INR 499.